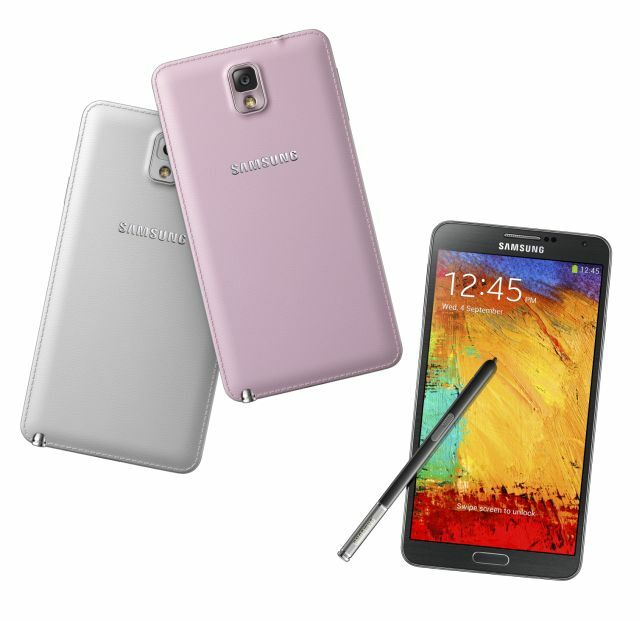 Samsung Mobile introduced next phablet version of its Note series, the Samsung Galaxy Note 3. The Galaxy Note 3 comes with a wider 5.7-inch AMOLED display with 1920 x 1080 resolution, 3200 mAh Battery, 2.3 GHz Quad-Core Processor or 1.9 GHz Octa Core Processor (varies by markets), 3 GB of RAM and the device runs on Android 4.3 Jelly Bean. The Galaxy Note 3 is equipped with a 13 MP rear camera with Smarty Stabilization and high CRI LED flash. With 13 MP camera, you can record 1080p HD videos at 60 FPS. Other features of Note 3 camera include Dual Camera (same like S4), slow motion HD video at 120 fps, UHD at 30 fps and Camera mode such as Drama Shot, Sound & Shot, Animated Photo, Eraser, Best Photo, Best Face, Beauty Face, HDR (High Dynamic Range), Panorama, Sports, Golf, Surround shot, the Live effect. Samsung finally moved on from cheap plastic, Galaxy Note 3 delivers premium look and feel thanks to textured leather back cover. Scrapbook enables users to organize or track down content and information from various sources including the web, YouTube and Gallery in one place so that users can easily look back at the collected content all at once. When consumers save content for future use, Scrapbook also collects source material or URLs allowing them to easily refer back to the original source. Pen Window allows users to use the S Pen not only for drawing sketches or writing notes, but now also for opening a small application window for a true multitasking experience. Simply by drawing a window of any size, anywhere on the screen, users can easily and quickly open another application window, such as YouTube, calculator or Browser without pausing the current activity on the screen. 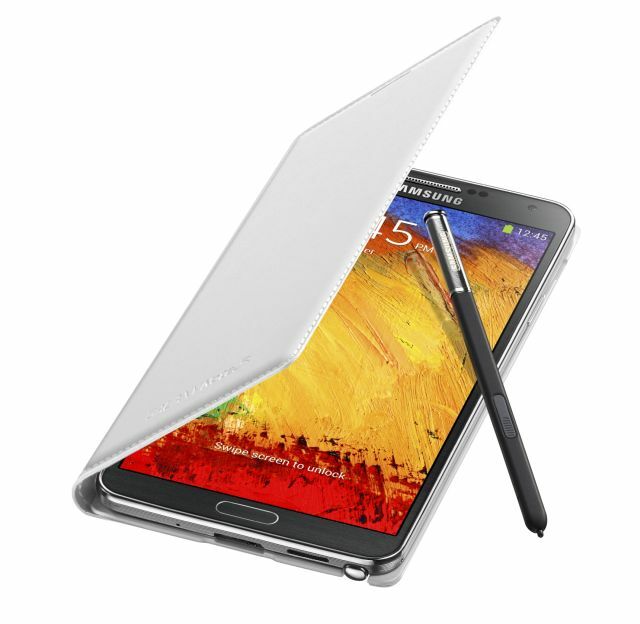 Samsung Note 3 comes with KNOW the enhanced privacy and security protection from Samsung. The KNOW is integrated at system level and can protect your phone against Malware and phishing attack as well as hacking attempts. User can also disable the phone, if they lost the phone. Samsung Galaxy Note 3 will be available in 32 GB and 64 GB internal storage with an additional MicroSD card slot. The Note 3 is available in three colors: White, Black and pink and it will be available from September 25 in more than 140 countries including India.